People like YouTube and really like subscribing to top YouTube Influencers. For two years in a row, a Variety survey of teenagers found that they preferred YouTube stars over traditional celebs. 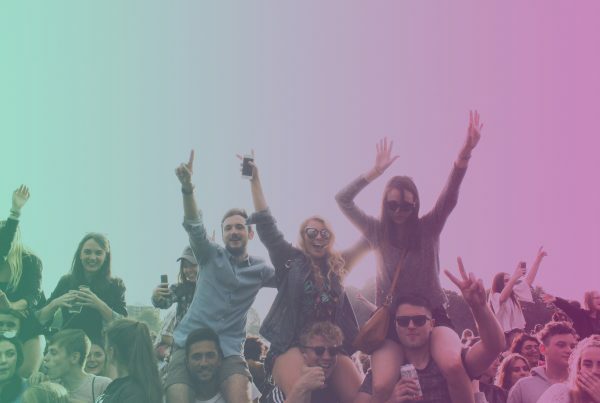 So you should probably pay attention to on YouTube because your customers are there and actively engaged. 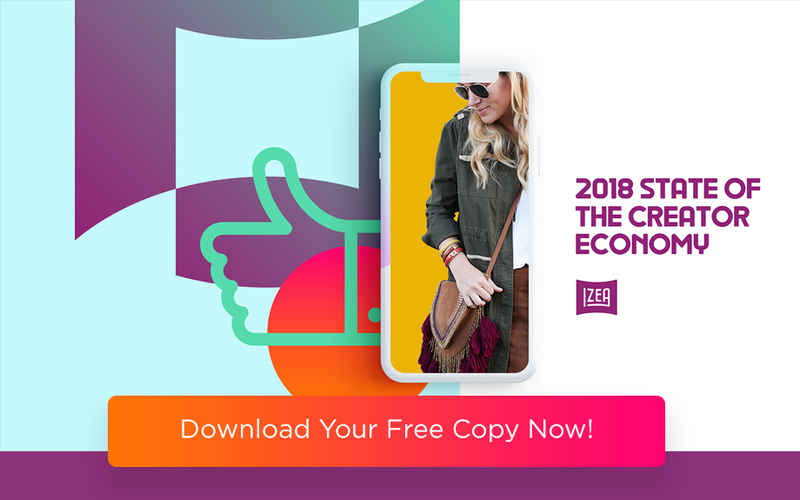 In fact, the 2017 State of the Creator Economy study found that more people visit YouTube each year than Facebook, Instagram, Twitter, or any other social media site. Convinced YouTube is ripe for adding to your current marketing mix? 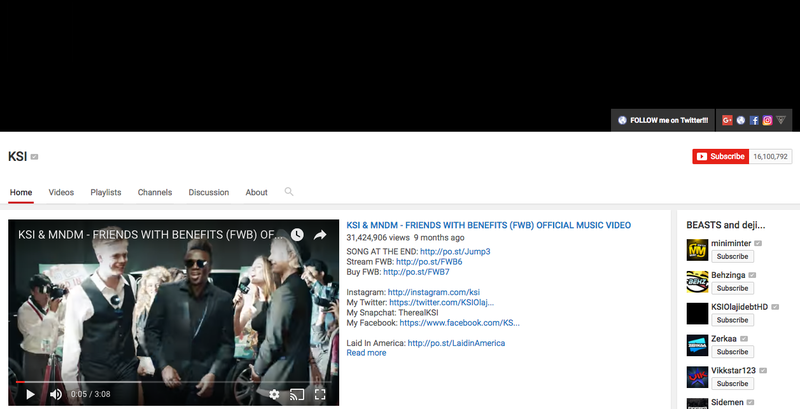 You may need help finding YouTube influencers. Or you may be wondering how to contact and hire YouTube Influencers. Remember, oftentimes it’s better to go with the underdogs rather than shelling out big bucks for the biggest names in the biz. So, for those who prefer to go big or go home, we profiled 25 of the top YouTube influencers today. Who are the top YouTube Influencers? Check out these 25 celebrity streamers. The top YouTube influencer has got to be PewDiePie (real name: Felix Arvid Ulf Kjelberg), though some may argue his recent public gaffes put his status in jeopardy. Still, he is probably the most well-known YouTube influencer, at least in the gaming space. He has nearly 55 million subscribers and well over 10 billion views. 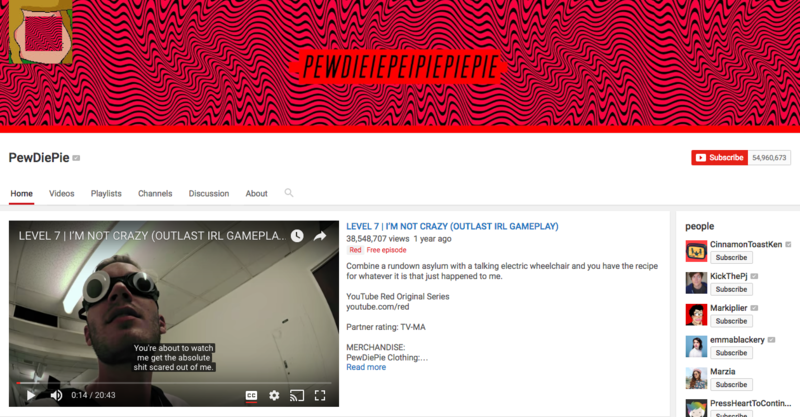 PewDiePie vlogs about video games, which is a particularly popular category on YouTube. 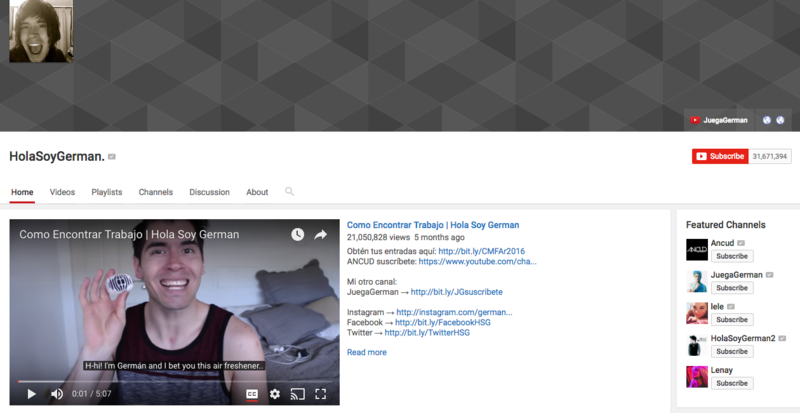 HolaSoyGerman produces comedy videos in Spanish (with the option of English subtitles). He’s one of the top YouTube Influencers because his 31.5 million subscribers come back again and again just to see what funny thing he’s going to say next. 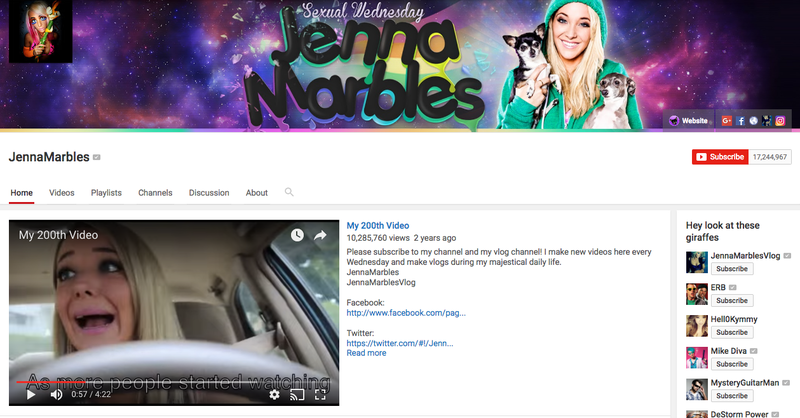 Top YouTube Influencer Jenna Marbles posts makeup videos, “things guys and girls do” videos, and videos about her dogs. Her videos have been viewed more than two billion times and she’s racked up more than 17 million followers. Smosh is a bit of a YouTube sensation, and is the work of two friends who are actually Top YouTube Influencers themselves with a number of different channels. 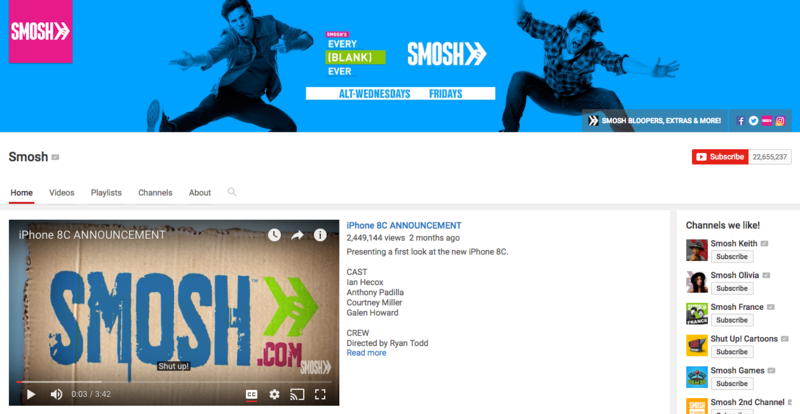 Their Smosh channel alone has more than 22 million subscribers and features comedy videos, such as a first look at the upcoming iPhone 8. 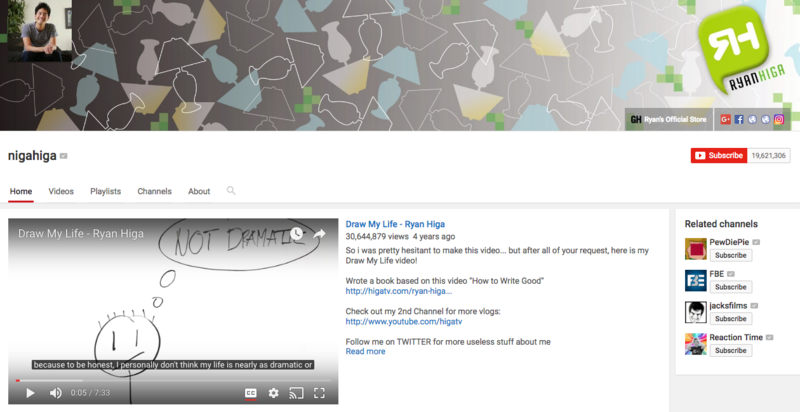 Comedian and top YouTube Influencer Ryan Higa has nearly 20 million subscribers. His funny videos include an advice column in video form, music videos, and “science” videos. 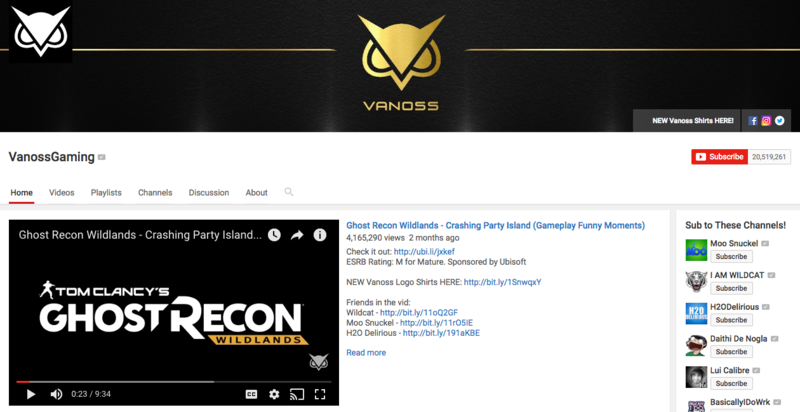 Another video game-focused top YouTube influencer is Vanoss Gaming with more than 20 million subscribers and more than 3 billion views. Vanoss puts a funny spin on his video game videos, perhaps combining the two categories YouTube is best known for. 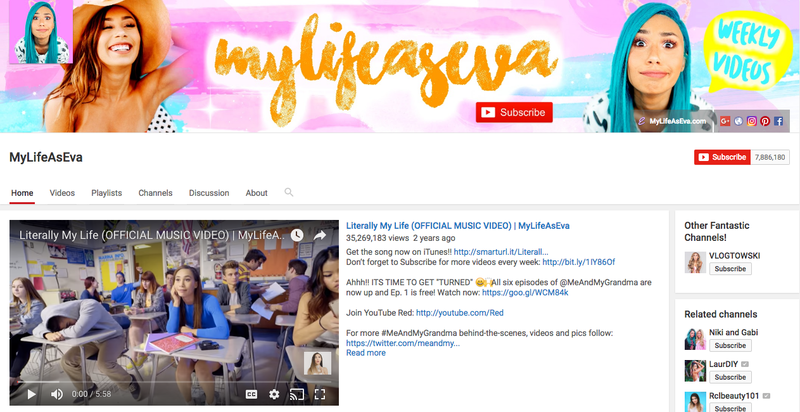 MyLifeAsEva is a top YouTube influencer who has managed to turn her DIY videos and comedy into a show for the site’s Red (paid) subscription service. Her normal channel has close to eight million followers. 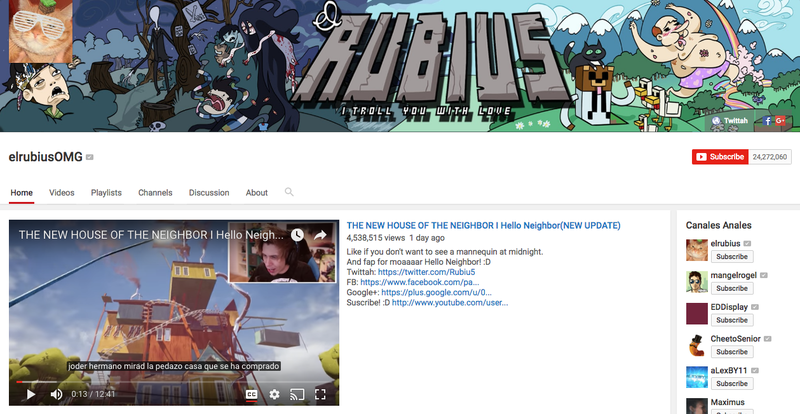 elrubiousOMG’s 24 million subscribers tune in to watch his Spanish-language gaming videos. As one of the top YouTube Influencers, he does walk-throughs and reviews, offering hilarious commentary along the way. 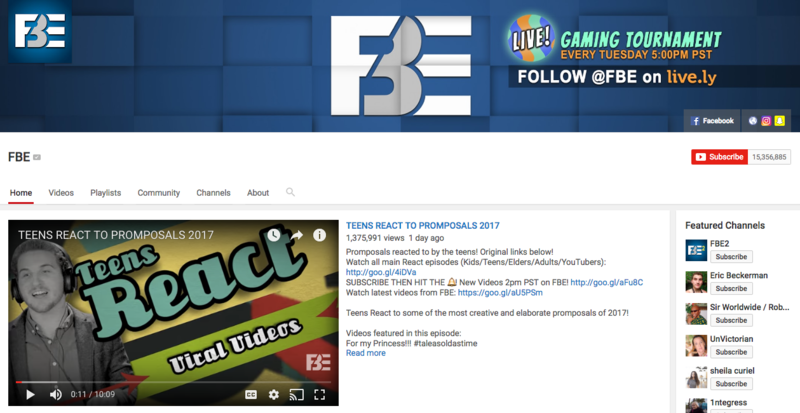 The more than 15 million people subscribing to The Fine Bros top YouTube influencer channel get to watch lots and lots of funny videos and comedy series. The pair have worked on campaigns with brands such as Ford and Comedy Central. Along with video and comedy, beauty is also big on YouTube, particularly tutorials that show you how to wear certain products. 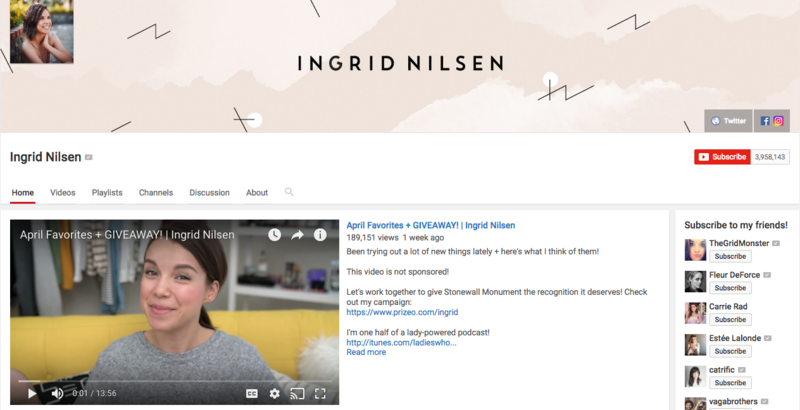 Beauty vlogger and top YouTube influencer Ingrid Nilsen has just under 4 million followers and more than 350 million views. She offers viewers a mix of sponsored and non-sponsored content. Beauty vlogger and top YouTube influencer Michelle Phan hasn’t posted a new video since 2016, but she’s kinda responsible for the rise of the beauty category on YouTube. Despite her absence from the site, she’s still influential, with nearly 9 million subscribers and more than 681 million views. 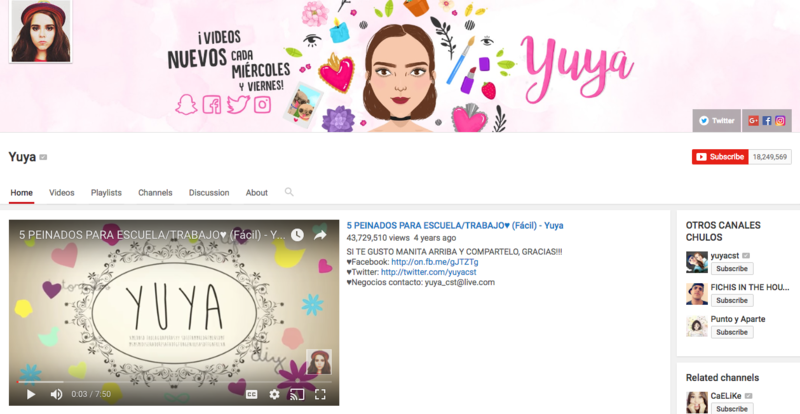 Yuya is another beauty vlogger and top YouTube Influencer with a big following (18 million subscribers). What makes her different from Michelle Phan and Ingrid Nilsen? Her videos are in Spanish. Viva! 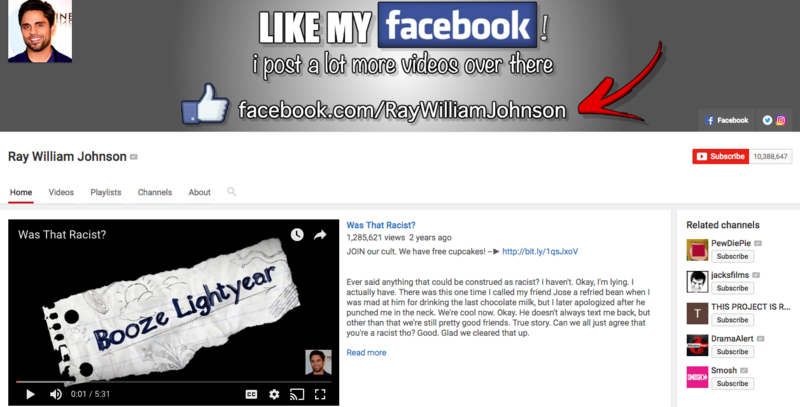 Another funny YouTuber and top YouTube Influencer is Ray William Johnson who entertains his more than 10 million subscribers by creating videos that offer comedic commentary on other viral videos. 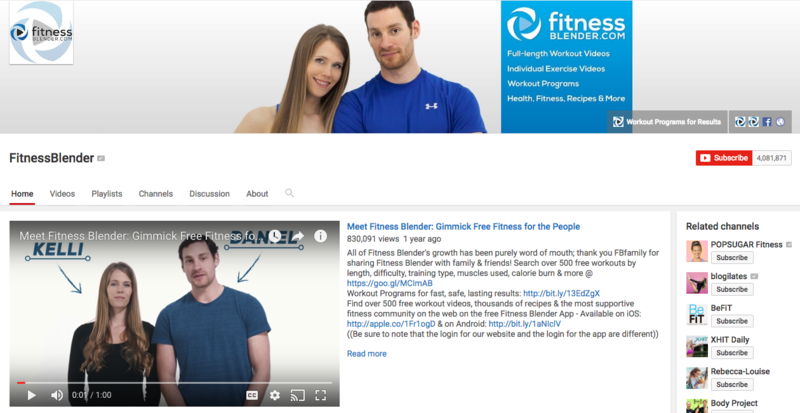 Exercise and fitness videos are also popular on YouTube, for good reason. 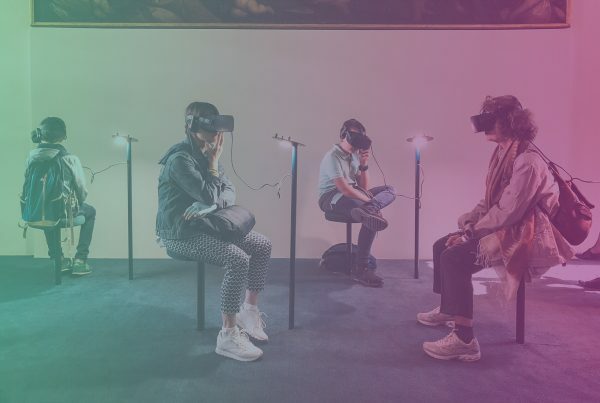 They’re free and easy for people to follow along with at home. 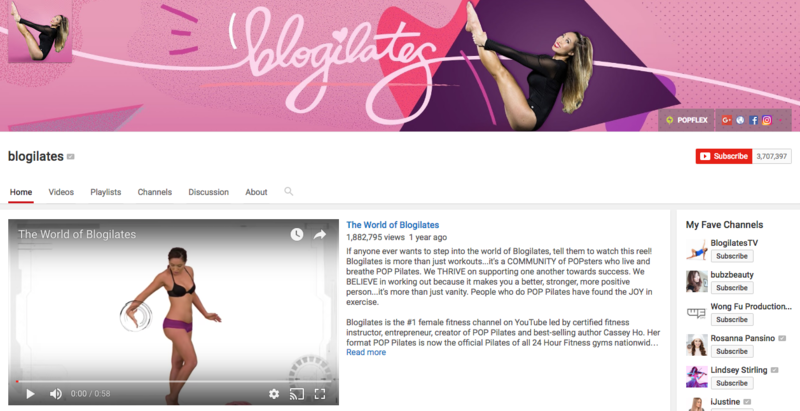 Top Fitness YouTube Influencer Blogilates, run by fitness instructor Cassey Ho, has more than 3.5 million subscribers. Her videos feature boot camps and full-length Pilates workouts, all to upbeat fun music. Did you miss out on the Unicorn Frappuccino from Starbucks? 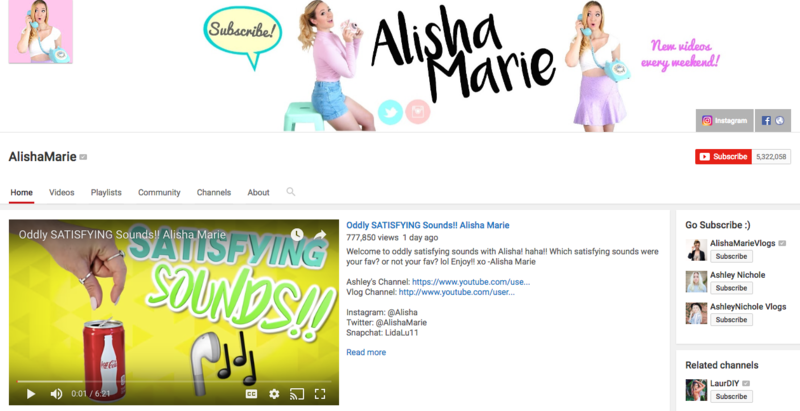 Top YouTube influencer Alisha Marie has a video that shows you how to make your own. That’s just one example of the tongue-in-cheek funny videos the YouTuber has made to keep her five million subscribers happy. YouTube influencer KSI got his start after he uploaded a bunch of videos of himself playing FIFA games. Since then, his funny videos have landed him more than 16 million subscribers, a top 40 rap single, a teen movie, clothing line, app and book deal. 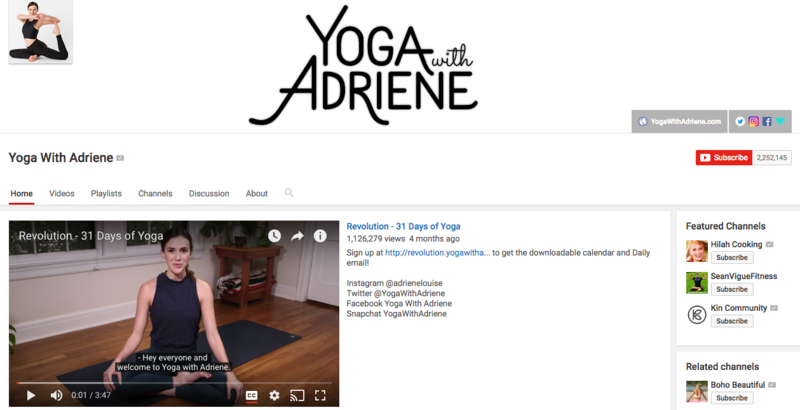 Why pay hefty studio prices when you can do yoga for free, with yoga YouTube influencer Adriene Mishler? The YouTube yogi has more than two million followers and yoga videos for all levels. 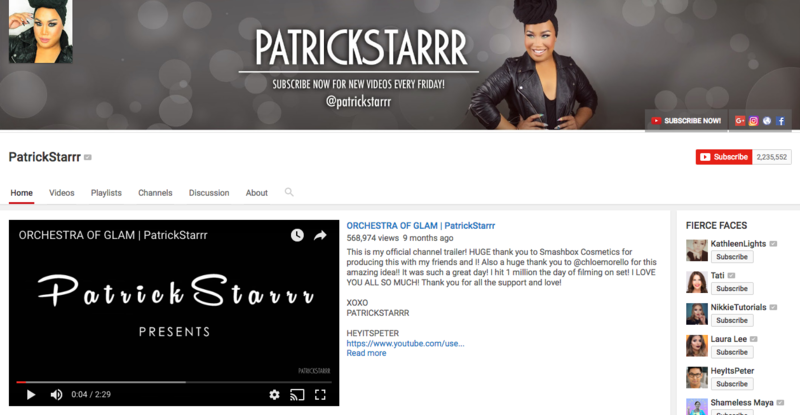 Professional makeup artist and YouTube beauty influencer Patrick Starr has more than 2 million subscribers and more than 100 million views. He’s one of the “beauty boys” — that is, a male makeup artist who’s trying to show that beauty and cosmetics are for everyone. Manny MUA and Patrick Starr are BFFs in real life and online. 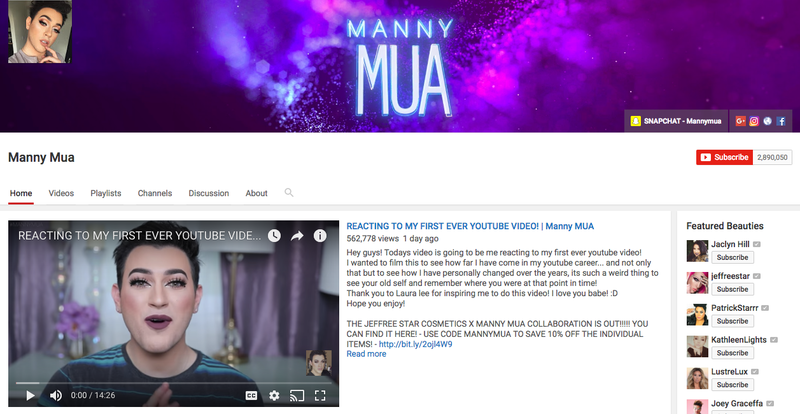 The YouTube beauty influencer’s nearly three million subscribers watch his videos to see reviews of the latest products, as well as makeovers and transformations. 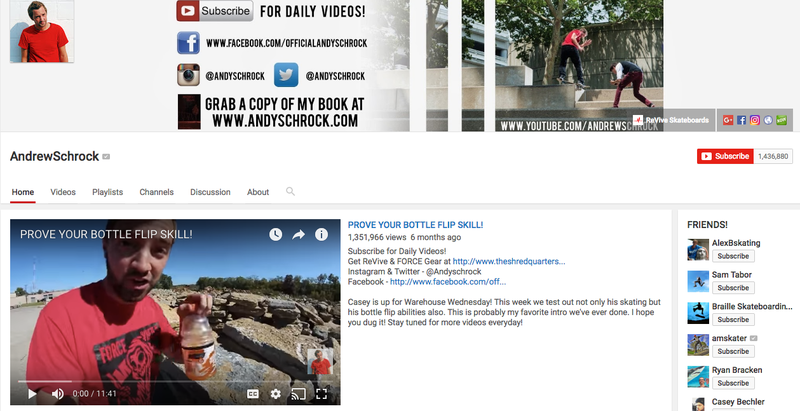 Andrew Schrock posts a new video daily that shows off skateboarding tricks, pranks, and skits. The YouTube influencer might have fewer than 1.5 million subscribers, but his videos have more than 500 million views. 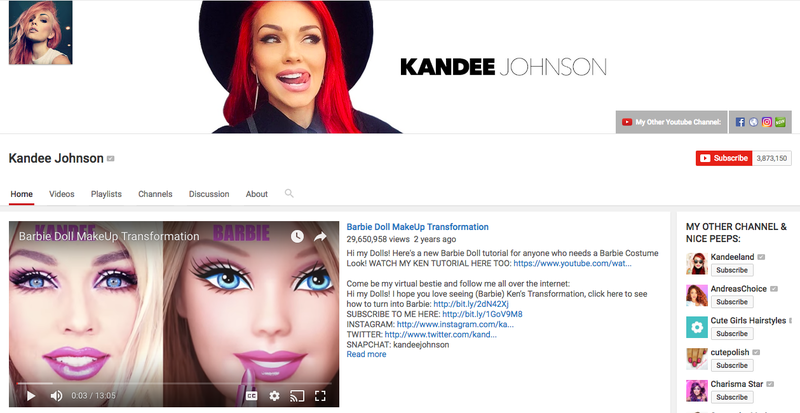 Makeup artist and YouTube beauty influencer Kandee Johnson posts videos that show her transformation from regular mom-of-four to beautifully made-up Barbie. But those Barbie videos aren’t the only thing that keep her nearly four million subscribers coming back. She also has beauty tutorial and hack videos. 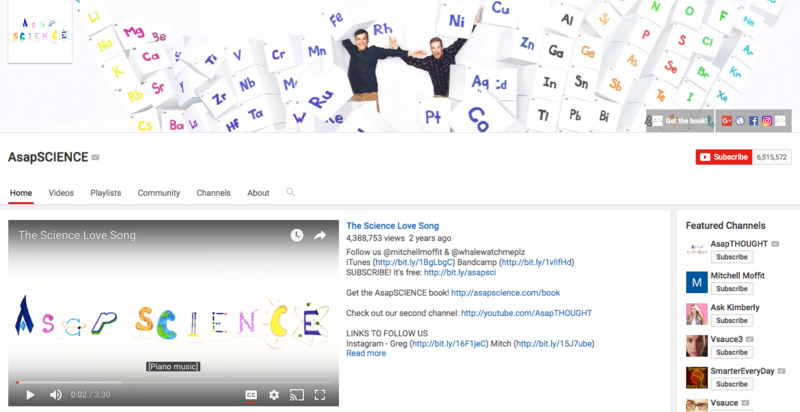 Science is cool these days, and nowhere is that clearer than on ASAPScience’s YouTube channel. The influencer’s channel has more than six million subscribers and videos that attempt to answer life’s tough questions. Zoella, or Zoe Sugg, is one of the OG YouTube influencers. Her more than 11 million subscribers check in to watch her regular “haul” videos (during which she shows off what she bought at Primark and other fast-fashion stores), her advice videos, and her Q&As. Fitness Blender is the work of Daniel and Kelli, a husband-and-wife YouTube fitness influencer team. It features full-length workout videos. The more than four million subscribers to the channel get to see a new workout each week. 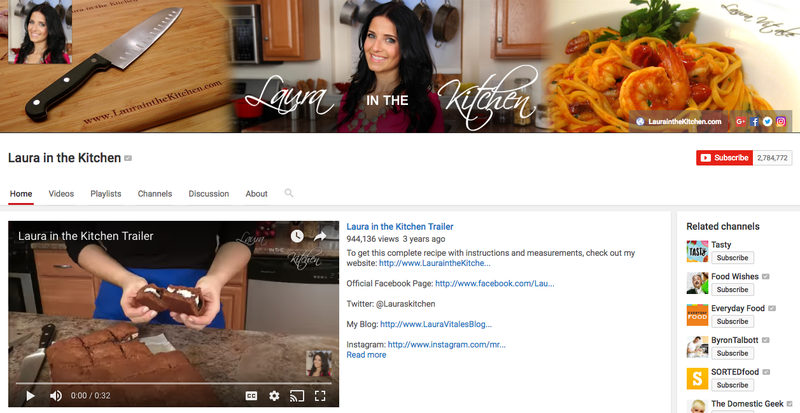 Laura Vitale hosts Laura in the Kitchen, a cooking show on YouTube. Her channel has nearly three million subscribers. Although Vitale focuses on Italian cuisine, she does take requests from viewers, making her one of the more engaging YouTube influencers. 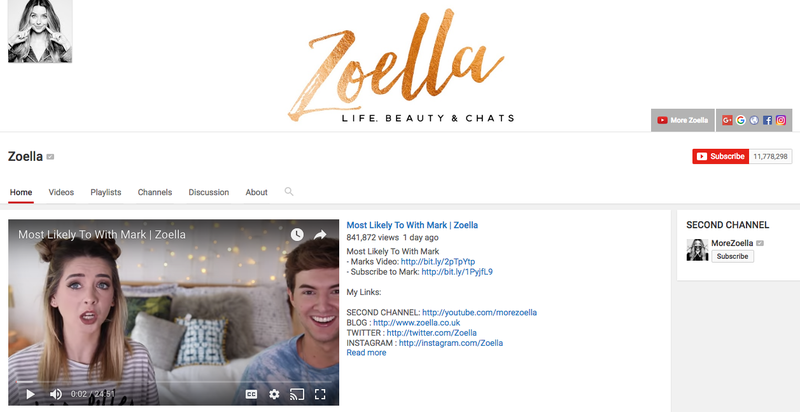 Want to learn the ins and outs of YouTube Influencer Marketing? 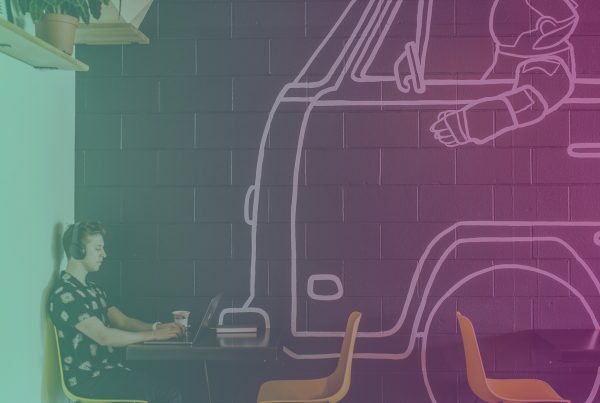 Download your free copy of the YouTube Influencer Marketing Guide today!